The CEO Magazine is a monthly business magazine for CEOs and high-level executives around the world. 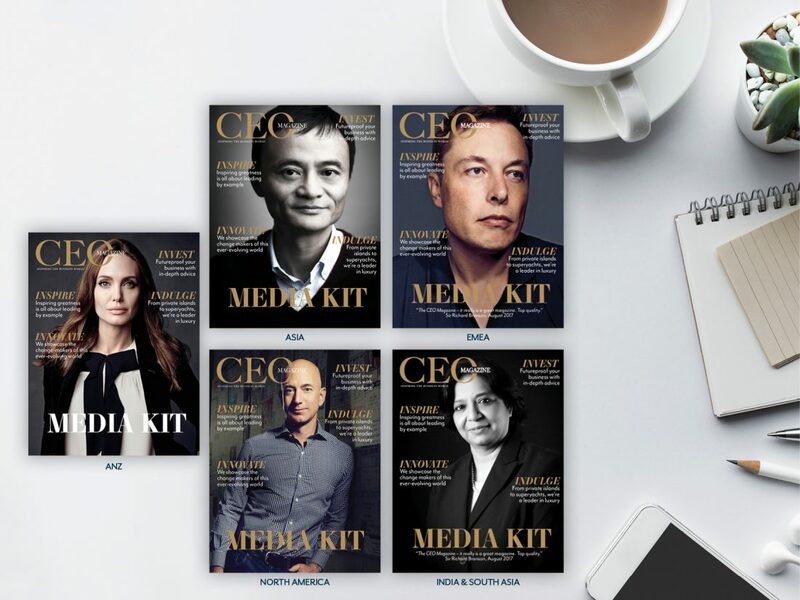 We enjoy a strong readership of powerful and influential leaders who engage with us through our print publications, digital platforms, and live events. Our rich portfolio of content and engaged audience presents an opportunity for advertisers to target business decision-makers and position themselves as a premium brand. We work closely with brands to develop tailored and contextual magazine advertising packages that help them connect with our readers and achieve their business goals. Our account managers have long-standing relationships with major brands including Maserati, which has advertised in The CEO Magazine for over three years and is the major sponsor of the Executive of the Year Awards, as well as Chivas Regal, 100% Pure New Zealand, SunSuper, and WePrintIt. Many of our advertisers are also sponsors of our business awards and have experienced strong returns on their investment and valuable business contacts as a result of our partnership over the years. We also have great relationships with media buying agencies including OMD, MediaCom, Ogilvy, Mindshare, Match Media, and DDB. The CEO Magazine is a perfect medium to tell the Maserati story; the calibre of readership is ideal. I found the team both professional and a pleasure to deal with. We pride ourselves on delivering high-quality business and lifestyle content that educates, inspires and motivates our readers. Covering topics from leadership, innovation and marketing, to entrepreneurship and finance, our business articles provide executives with the knowledge they need to make more informed decisions. We’ve built our reputation on the back of our in-depth executive interviews section, which profiles some of the world’s foremost business leaders and CEOs. The insights, opinions, and ideas offered by these esteemed leaders remain valuable to our readers. Our readers are always looking for new ways to experience a more balanced and fulfilling lifestyle, which is why we deliver content that addresses the needs of CEOs and executives when they step away from the desk. We cover all aspects of an executive lifestyle, including health, wellbeing, style, luxury cars, dining out, and travel. Our global website is the home of The CEO Magazine online and features highlights from our print publications as well as business and lifestyle articles created exclusively for our online audience. When combined with our range of business and lifestyle email newsletters, our digital advertising packages are ideal for targeting executives who are reading The CEO Magazine online and on the go. For further information on advertising in The CEO Magazine or on our website, please complete the form below or contact us.